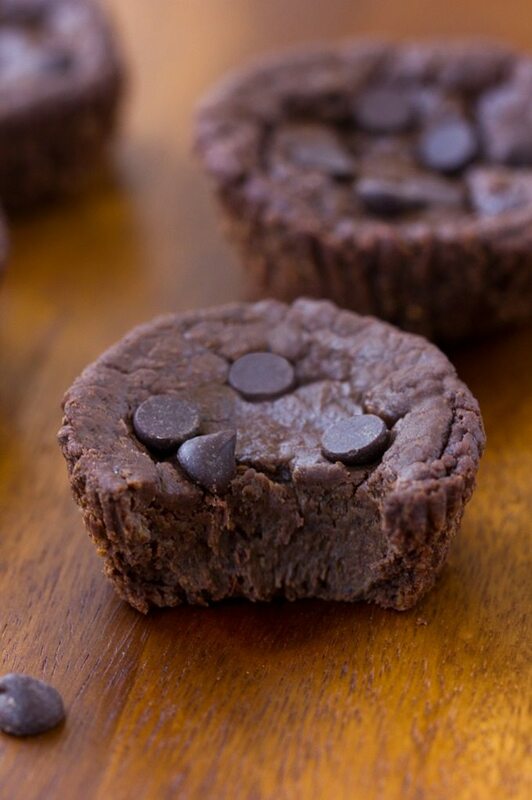 Flourless Chocolate Muffins. 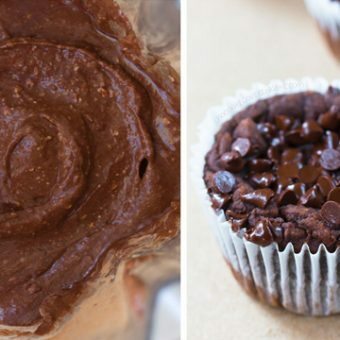 Super healthy chocolate muffins, with NO flour, NO oil, and NO refined sugar! Have you tried the original version of these muffins yet? It is absolutely CRAZY how many of you have been making the original version after I first posted the recipe not even a month ago! It seems like every time I turn on my computer, I’m greeted with even more comments or instagram posts from readers who have made the recipe – and it makes me incredibly happy so many of you are trying it!!! I’m excited others now share my love for these cookie-dough-like blender muffins. 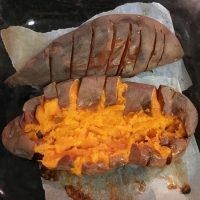 If you missed the original post, it’s definitely worth checking out, as that recipe is quickly becoming one of my favorites on the entire blog! 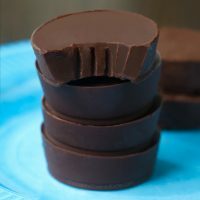 And of course, as soon as I saw the popularity of the original version, the next order of business had to be the creation of a chocolate version. My first chocolate experiment yielded muffins that sank completely in the centers… but they were still delicious, and you’d better believe I still ate them! I ate them all and then focused on a second experiment, which yielded perfect and fudgy muffins that taste almost brownie-like. 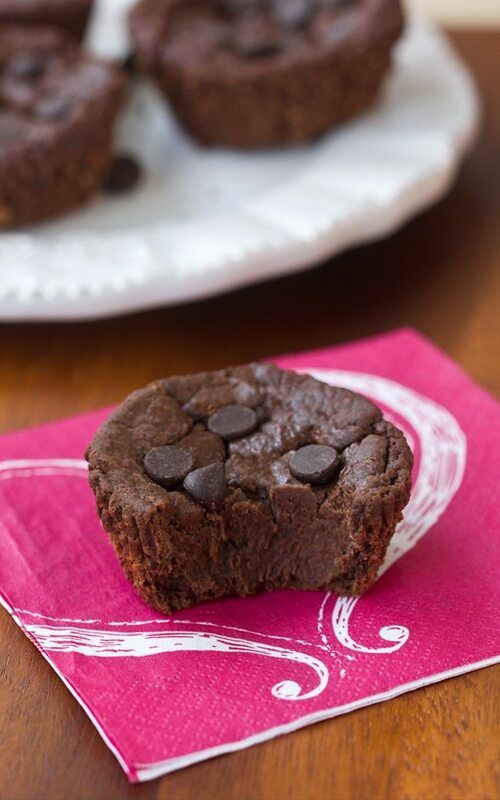 Chocolate Fudge Brownie Muffins, if you will. Preheat oven to 350 F and line 8-9 muffin cups. Drain beans and rinse extremely well, then pat dry. This is important because it gets rid of any bean flavor. Blend all ingredients except chips until smooth in a blender or high-quality food processor. (If using a blender with no tamper, stop occasionally to stir ingredients with a spoon so they blend evenly.) Stir in mini chips. Portion into the muffin cups – don’t overfill or they will rise and then sink in the centers. Add chips to top if desired. Bake 12 minutes. They will look underdone, which is what you want. Transfer the muffins to a container and cover overnight in the fridge. They firm up perfectly! 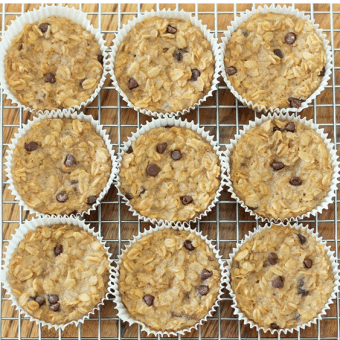 As with my flourless banana muffins, these muffins are supposed to be fudgy, not fluffy and floury like traditional muffins. Not everyone will love the texture, but if you like the original version, you will probably like these as well! Muffins last 3-4 days refrigerated or 2-3 weeks frozen. « Blueberry Baked Donuts – Refined Sugar Free! Longtime reader (like 5 years or more), but possibly first time commenting (or 2nd or 3rd maybe). Regardless, my son (3.5 year old) became obsessed with eating muffins every morning for breakfast with our smoothie back in February. 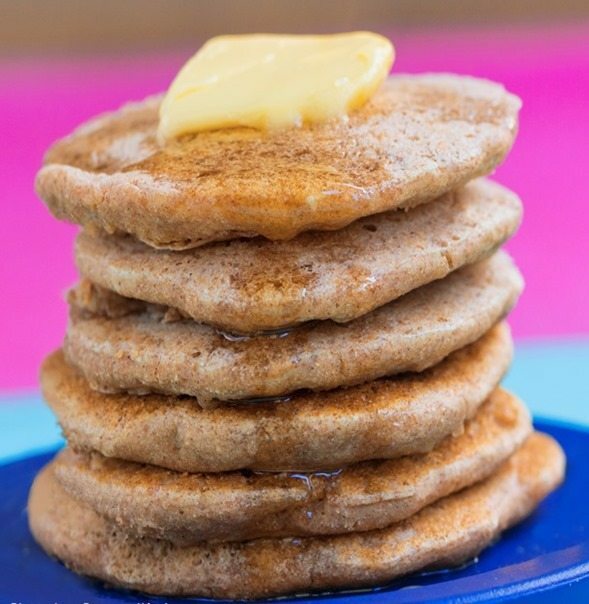 Obsessed… like crying if we had to have toast or pancakes instead… I was making very healthy muffins, some of your recipes, some from Peas and Thank You, but still most had flour and took a while to make. 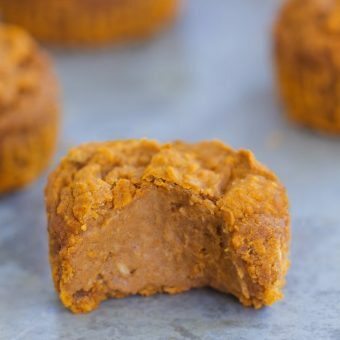 Two weeks ago I had some leftover pumpkin, so made the blender pumpkin ones, and he was hooked. We have been making them constantly–those and the banana ones! I love that we are eating muffins, but they are full of beans and not flour!! While my husband is not a fan when we make them in the morning (since as you mention they taste better after sitting), we like them anytime! I cannot wait to try these!! Sorry for the long post, but I’m not sure I can make any other muffin now! Maybe a blueberry blender muffin should be next (although I suppose I could add to the banana ones). Thanks so much! Me again! Just an addendum to say I’ve already made these and they are awesome! No substitutions or changes (except chopping regular sized chocolate chips as I didn’t have mini). Thank you thank you! I loved them right out of the oven, myself! 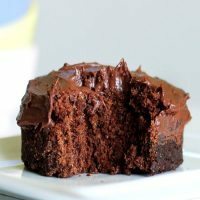 I still haven’t tried a chocolate recipe with black beans, but I need to! These look amazing! 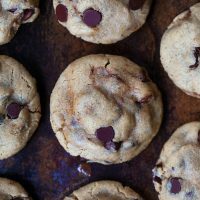 I thought I needed to post this about the flourless banana muffins but can’t figure out how to comment there. I didn’t read this chocolate recipe and am worried I could be putting people at risk with it too–I’m so sorry–I feel so overwhelmed. 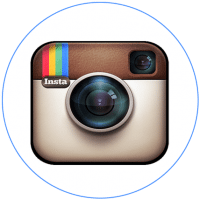 About the banana ones–Please, please keep your readers safe. I think these are not grain free, or gluten free unless you use certified GF ingredients, or vegan if you use honey, etc. I’m feeling scared and confused, and like immforgetting things. I’m so sorry if I’ve put others at risk by all the things I fail to comment on. Please everyone do your own good research and use your judgment and know your needs to keep safe. I’m so sorry all the other things I’m missing and failing to check. I didn’t even read the post, I’m sorry. I’m so sorry–I’m sorry if I put others at risk of harm. Please, please keep safe and please everyone keep safe with foods. Please take care. Thank you. Also I’m worried about how squash could explode, people can get food poisoning from inadequately cooked frozen veggies, and allergens are hidden or cross-contaminated in SO SO many ingredients. I’m so sorry. Please keep safe. I’m so sorry. I’m sorry if I’m putting others at risk. I’m so sorry; please, please keep safe in all ways. I’m sorry. I feel unable to help, unable to prevent harm. I’m sorry if I’m being irresponsible. I’m feel wrong and confused and crazy and failing to prioritize. Please keep safe and take care. 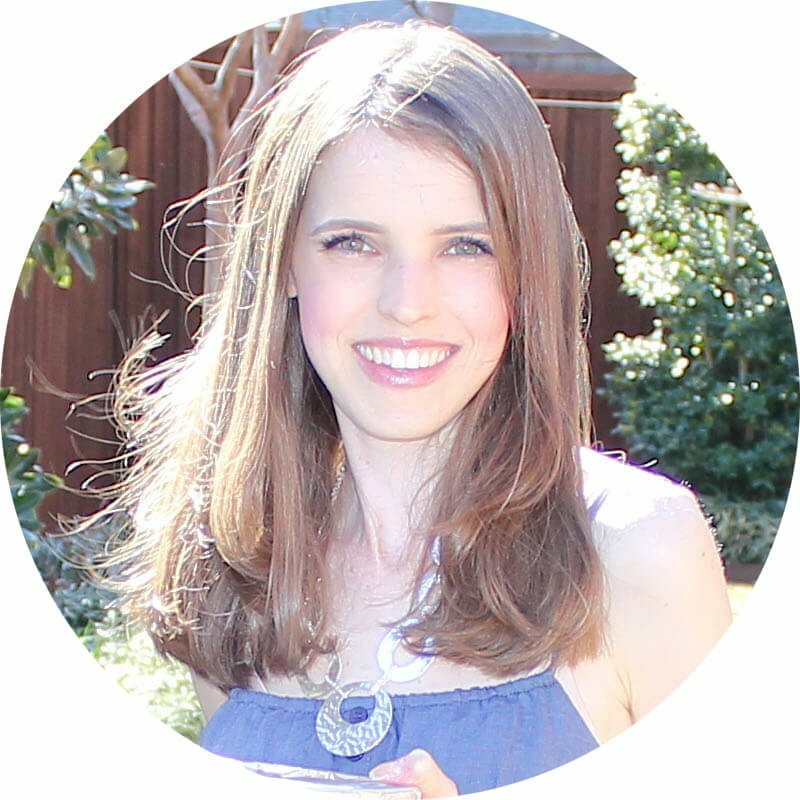 Many gluten free and vegan people read and use her recipes daily. If there was really such dangers with the foods, like a ingredient that wasn’t gluten free, I am sure at least one reader would notice. I can tell by your extreme use of ” I’m sorry” that you feel like it is your responsibility to comment. I am sorry you feel so overwhelmed and stressed, but it does not have to be your responsibility to comment on every one of her recipes. 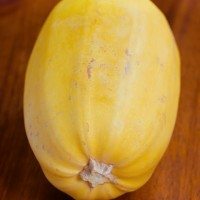 Furthermore, addressing your comments on exploding squash, as long as there is some way for the internal heat to be released while cooking, it will not explode. Exploding squash will most likely only create a mess, not bodily harm. Allergens are often listed on the back, as well as other things the ingredient may have come in contact with. If you would like to be extra safe, you may check those. 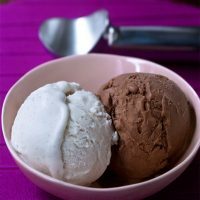 I have included a link to https://www.choice.com.au/food-and-drink/food-warnings-and-safety/food-safety/articles/food-poisoning because it helps explain allergens, as well as frozen food and supermarket safety. AL, with much respect, the writing style of your comment seemed rather frantic and scared. If you feel paranoid often, or find yourself not eating for fear of contamination, please go to a professional. Also, if you continue to feel like you are forgetting things, or feel confused often please also visit a healthcare professional. While you are very worried about others safety, do not forget about your own.? Excellent! We couldn’t wait to cool overnight- maybe an hour or so and my hubby and toddler (20 months) LOVED them! Super fudgey and delicious! OMG, I just love this post & of course chocolate, but I am trying to cut in the gym. Oh well there is always next week!. I love the visuals on this blog! Hi Katie! These are soooooooo good!!! I know these are muffins, but I treated them as a dessert ??? when they were fresh out of the oven, I took two and placed a scoop of vanilla ice cream on it. The warm, gooey, brownie like muffins were perfect with that melting ice cream! 5 stars! 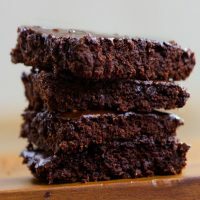 Would it be possible to make these in an 8×8 pan or similar to make them more brownie-ish? They look so yummy! I made these Flourless Chocolate Muffins last night. I substituted in coconut flour and a little extra water. I was serious dubious when I took them out after 12 minutes and they were so gooey. Still I put them in the fridge overnight and just pulled them out. Divine! 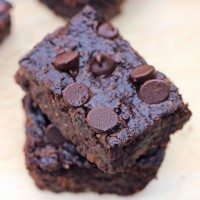 Love the fudgy texture and taste!! Thanks for what you do. 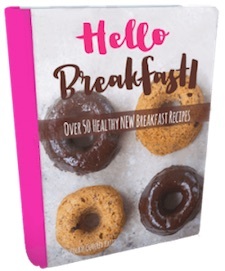 I bought your cookbook to support you and found the recipes to be awesome. we love your recipes, you make it so easy to find healthy alternatives for most of the classics. This one is just another superb example of how awesome healthy treats can taste. These were little perfect little soufflés! Used raw cacao powder and cacao nibs instead of chocolate chips and they were incredibly rich and chocolaty. 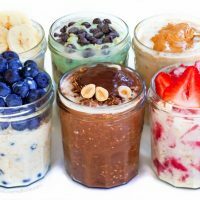 Perfect for dessert when trying to eat clean! 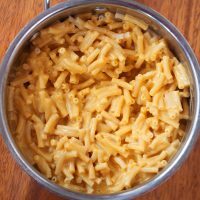 My husband won’t eat nut butter and I won’t make anything with actual butter or margarine. 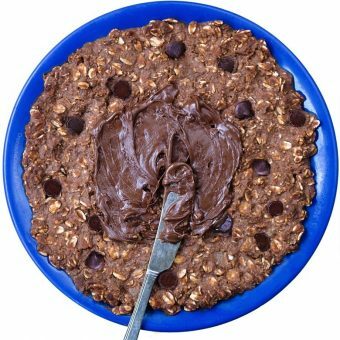 Is there another substitute for the peanut butter? Can I add more applesauce/banana instead? You can use a nut-free butter such as Sunbutter (sunflower seeds). Coconut butter might work, but I have not tried it. I doubled the applesauce, which made it more brownie-like than muffin-like. 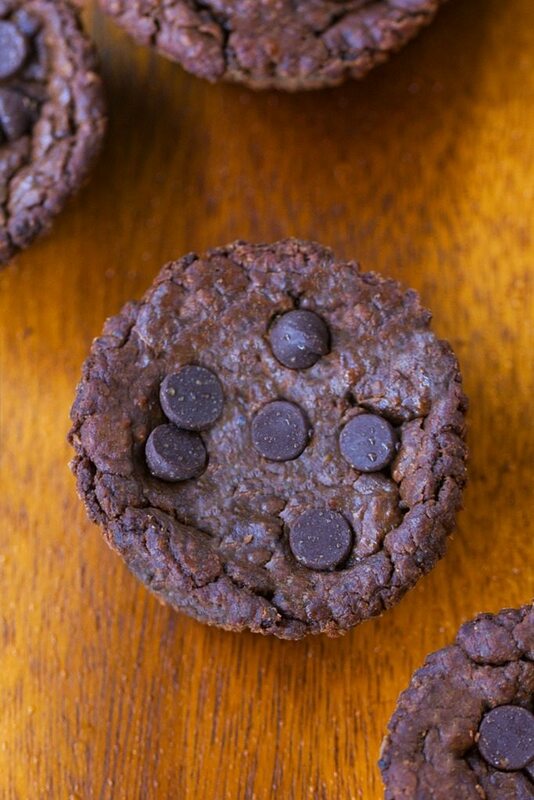 You’ll hear no complaints from me though because it’s still healthy deliciousness that is gooey and chocolatey. What other modifications did you make?